This hat is so easy to make and only takes about 30 minutes to sew together, which is great because its only 2 days til Christmas! 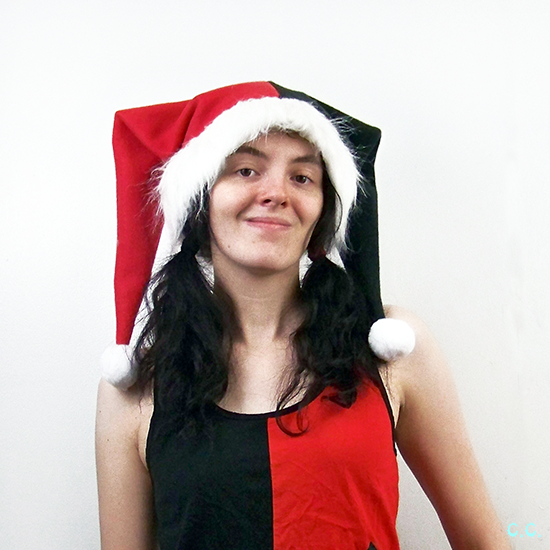 You can whip one of these up as a last minute present for a friend or make one for yourself to wear for the holiday. Here was my inspiration for the hat! 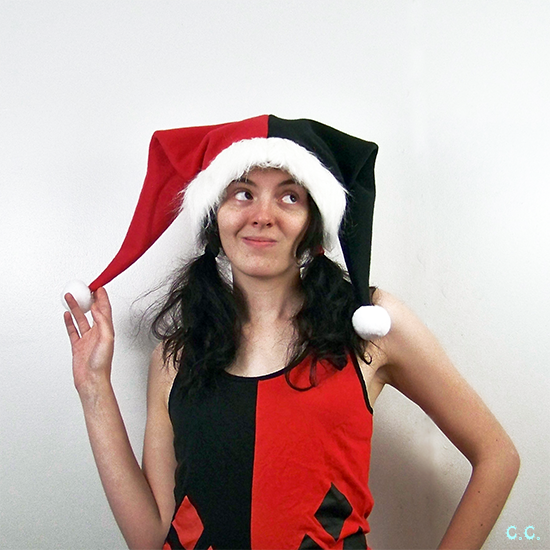 Harley's actually is not possible with gravity and all, so I decided to just go all out and make mine super long. Here's what you're going to need if you want to make you're own! Step 1: Alright, starting off you want to measure around your head right above your ears. My measurement was 23 but I added an inch and half for comfort. I divided that total, 24 1/2 by 2 and that was the length of the line on the bottom of the pentagon, 12 1/4 in. Then I measured over my head from my forehead to the back, where I thought the hat would be sitting. My measurement came to 12 in. and I added an inch for comfort. I divided 13 by 2 and came to 6 1/2 which is the length of the two short sides of the pentagon. Then you want to find the exact center of the bottom line and mark it. 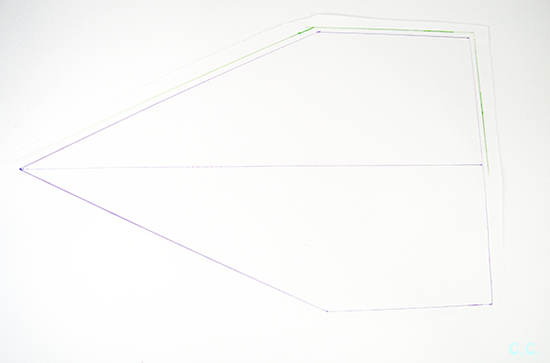 Draw a line 20 in. tall from that mark you just made, connect your 6 1/2 in. lines to the tip of the 20 in line to complete the hat pattern. I then added a 1/4 in. inseam in green on the picture. 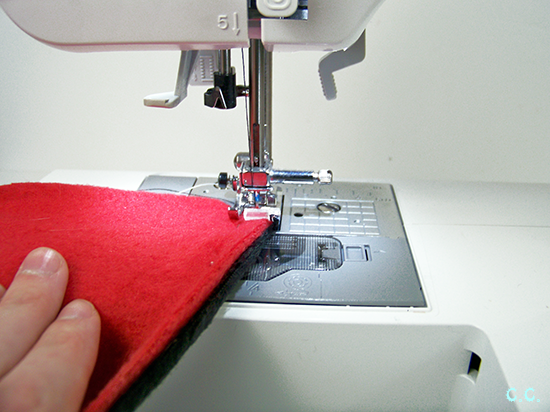 Step 2: Pin your pattern down. 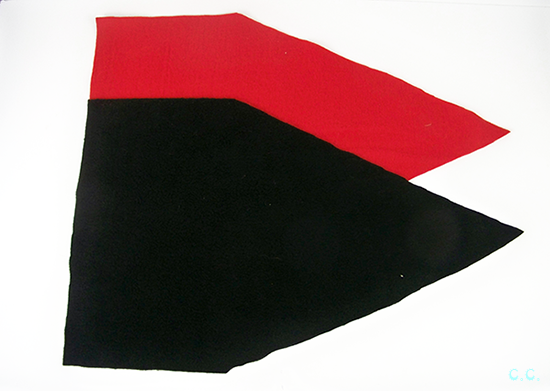 Cut one piece red, one black. 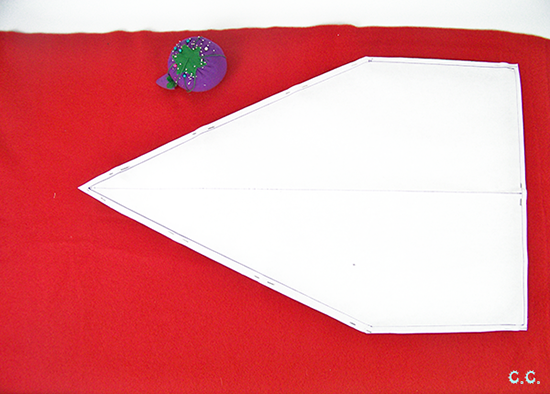 Step 3: Pin the long sides of your pattern pieces together. 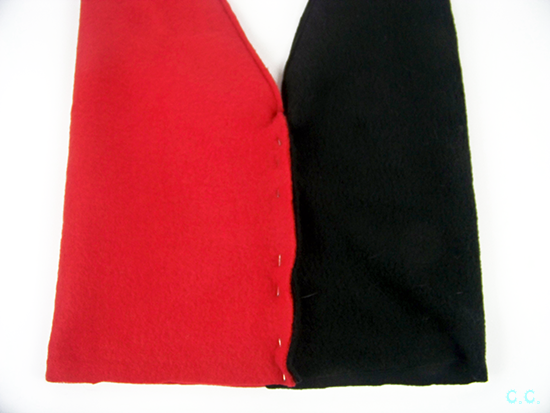 Sew down just that line leaving the shorter (6 1/2 in.) sides alone. Repeat for both pieces. 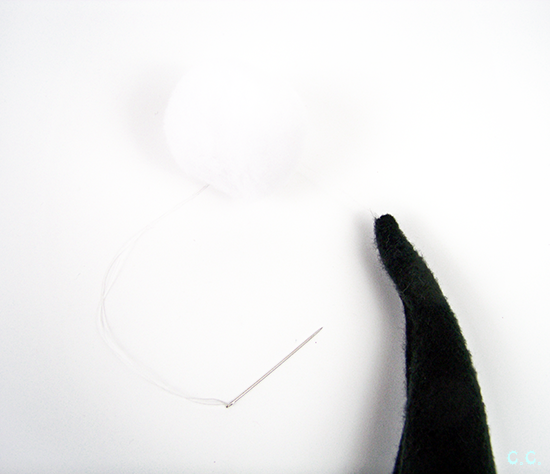 Step 4: Now pin the short sides of the hat together. 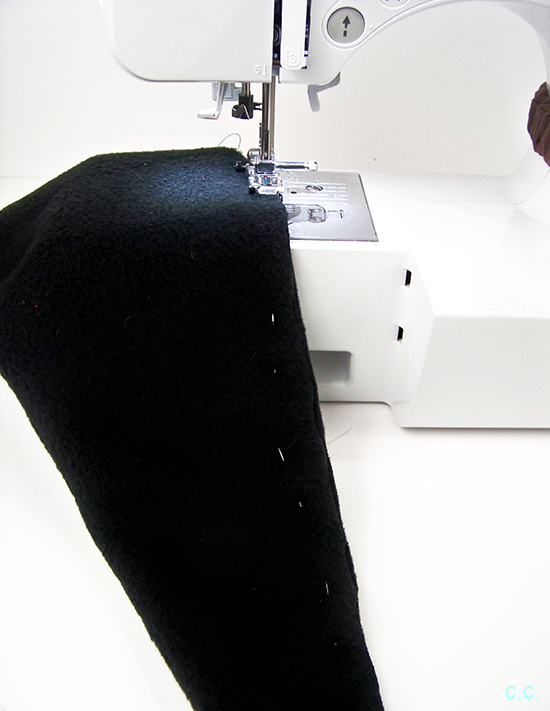 Sew along the edge with a 1/4 in. inseam. 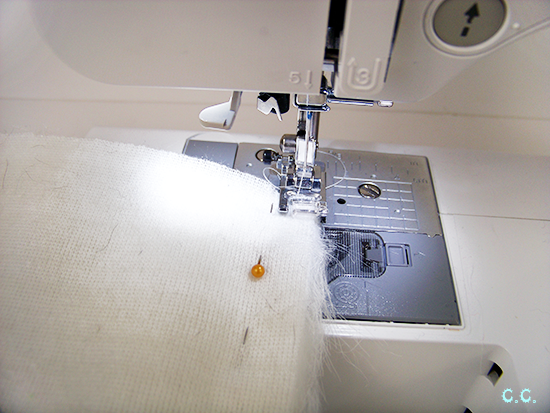 Step 6: Sew the short ends (4 1/4 in.) together with a 1/4 in. inseam. 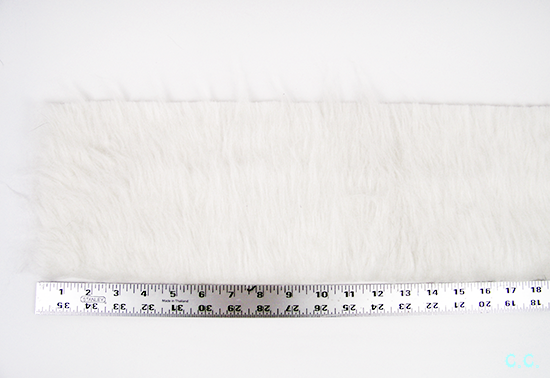 Fold in half longways, creating a band that is completely furry on the outside. 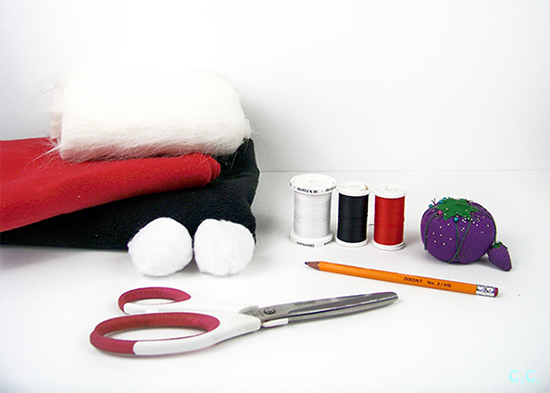 Step 7: Make sure your hat is right side out and place the band around the bottom edge. 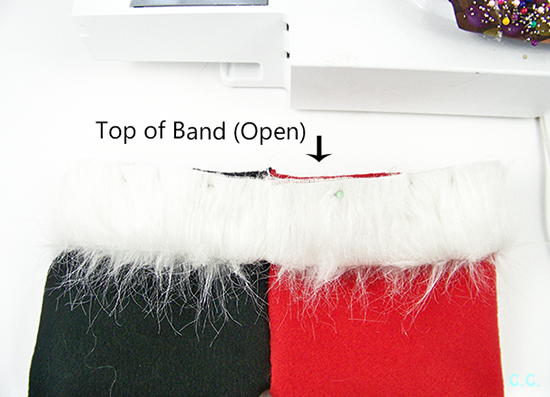 The band is going to be upside down, aka the closed part will be at the "top" of the hat and the open part of the band will be closest to the edge. Pin. 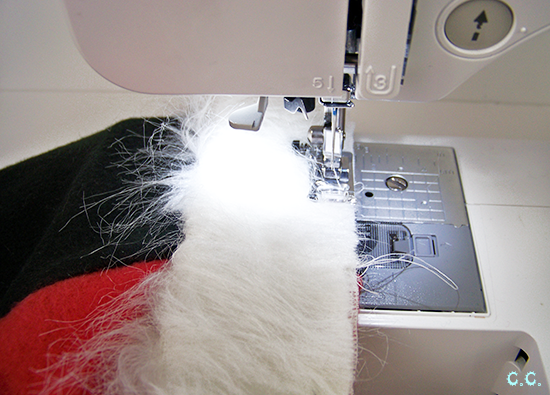 Sew around the brim of the hat with a 1/4 in. inseam. This was my favorite shot....did you notice even my hair ties match the color scheme? 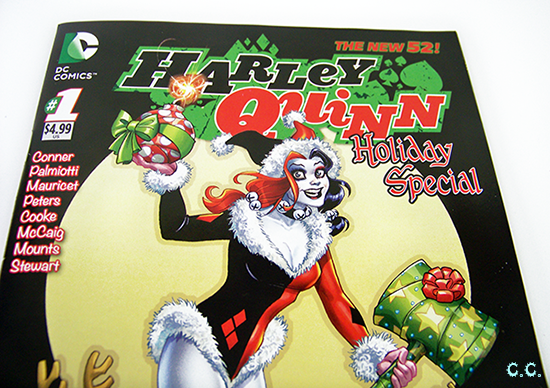 If you want to read about my Harley Quinn obsession click here, or if you want to add some bat-tastic decoration to your notebooks click here. 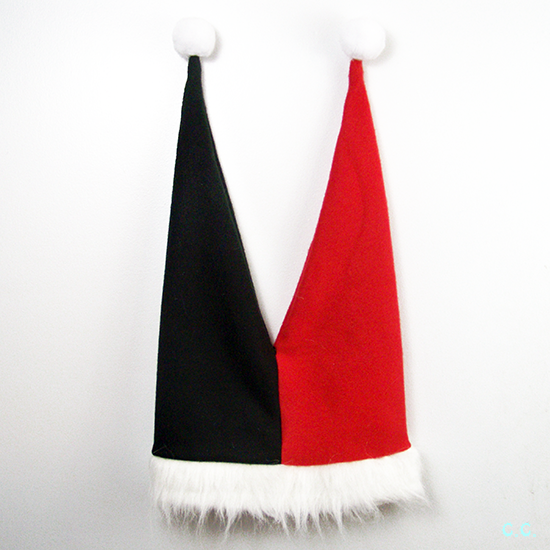 You've still got time to make this hat before Christmas so go ahead and get to it! If you make one I'd love to see it! I'm one of those grinches that refuses to wear a Santa hat .... but I'd make an exception for this one! It's so cool!! 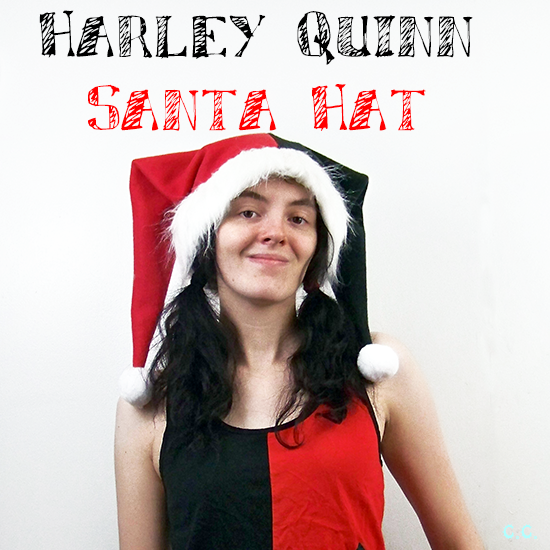 I won't refuse if a hat is presented to me - because I love wearing odd hats - but I do feel that the original Santa hat is a little stale, but Harley has great style and knows just how to change it up!